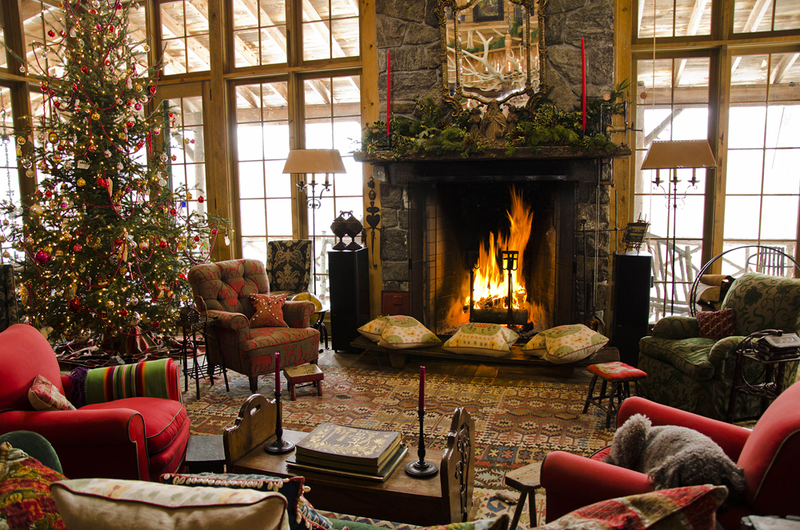 A roaring open fire, a huge tree adorned with beautiful decorations, and a garland artistically strewn above the fireplace. The smell of home-baked mince pies fills the air and the snowflakes dance past the window. We each have our own image of the ideal Christmas, but sometimes the reality doesn’t match the picture-perfect scenes in the movies or on the front of a Christmas card! Don’t beat yourself up about making everything flawless, trying to be a perfectionist will leave you feeling exhausted! Instead focus on making your home just right for you and your family. Fill it with things that remind you of the festive season and things that make you smile. Before you start adding festive cheer to your home take the opportunity to have a bit of a sort out and clear up. Put all the tat you find (odd socks, a jigsaw piece, the lid from a sandwich box, etc) in a big box and either find a home for it or be ruthless and bin it! Next give everywhere a clean, wipe down, vac, polish (get the whole family involved this, it’s not a one-man job and even a toddler can use a feather duster). Drag the Christmas trimmings from the loft and have a sort through those too, get rid of any broken or past their best items (sentimental items can be kept providing you’re going to put them somewhere they can be seen – otherwise what’s the point in holding onto them)? All clean and tidy and got your Christmas decorations in order? Great then you’re ready to get going. You might want to replace tinsel or invest in a fresh wreath for the door so pop out and get everything you need before you get started. Some people like to create a theme – such as winter wonderland (white and silver), traditional (gold, green and red) or on-trend Scandi (rustic red and white). Others prefer a mix and match approach and a rather more eclectic look. Again, go for what you love, it’s your home! Once you’ve made the room look like a slice of Christmas heaven you can add a few flourishes to really give it an element of festive flair. Christmas figurines can add a little something extra to a shelf or mantlepiece, especially if they are beautifully made and lovingly painted. It’s also time to change the soft furnishings, if you have a thick and sumptuous rug it could be the perfect time to roll it out. Pack away the light linens and cottons, it’s time for woollens and soft as butter (faux) fur. Generous throws and squashy cushions can add a homely feel that will warm your home (and your heart). Scented candles can also add a Christmas ambience to the room, scents that remind us of Noel include cedarwood, cinnamon and winter berries. Dimming the lights and lighting a couple of candles can really alter the mood of a space. As for background music it has to be festive tunes, no need to blast it out, just a hint of the Pogues or a trace of Do They Know It’s Christmas? Should be enough to set the tone. Get the kids involved this year and get them making some hand-crafted Christmas decorations for the tree and around the home. Getting arty can be great fun for the whole family (it can also be messy so cover the dining table if that’s where you’re planning to set up your craft studio)! Cheap, cheerful and something you can treasure forever! Christmas cookies decorated with delicate white frosting, mince pies (try shortbread pastry for a cheeky twist), a sumptuous chocolate tiffin, or if you’re feeling brave how about stollen? There are lots of tasty treats you can whip up for Christmas that will fill your kitchen and the rest of your home with the aromas of the season. Family traditions come into their own at Christmas, so whether you enjoy an early morning stroll with the dog on Boxing Day, always play Monopoly on Christmas Day or make a point of buying brand new pyjamas for the whole family to wear on Christmas Eve, you should build your own customs to look forward to. Make your home feel like a festive sanctuary this season, and enjoy a very, merry Christmas! WHAT CHRISTMAS GIFT TO BUY FOR MY GIRLFRIEND?